The hole puncher by Nomess impresses with its simple and timeless appearance. It is made of plastic and metal and is part of the Workspace Collection by Nomess. The Workspace collection by Nomess provides modern office accessories and keeps things tidily for the desk or the office at home. In addition to the hole punch it also includes a letter opener, gel pens, scissors, filing trays, notebooks and a stapler. Individual product image of the hole punch by the manufacturer Nomess in black. 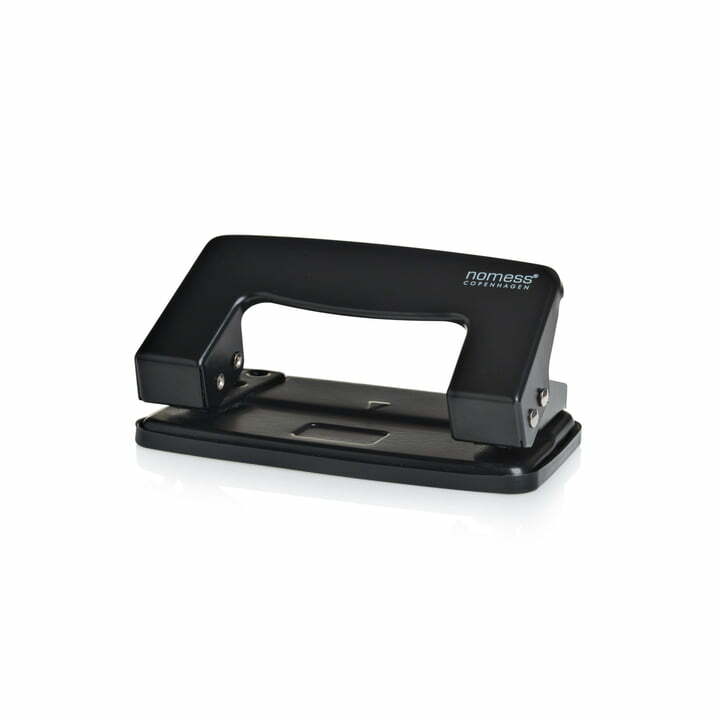 The simple hole puncher from the Workspace collection is made of metal and plastic.